Some of us dream about buying luxury-brand cars or SUVs. You know, the kind that show up fashionably late to fashionable dinner parties with people wearing the latest fashions. You get the drift. Unfortunately, for most of us, luxury actually translates to “out-of-my-price-range.” When that unwelcome reality rears its ugly head, don’t go out and get a loan that’ll take years to pay back. Get a near-luxury car. Don’t worry; your friends probably won’t be able to tell the difference. 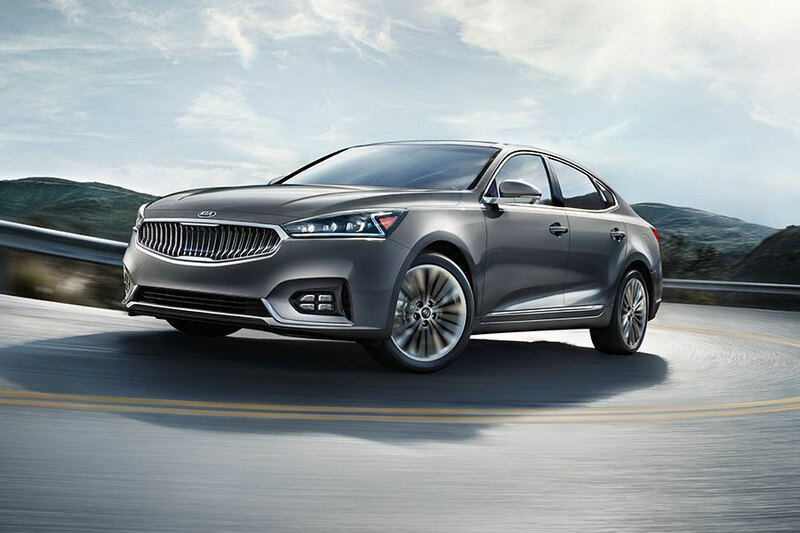 Introducing the 2019 Kia Cadenza, the car the smudges the line between affordable and luxury. Still fresh from a major overhaul, the Kia Cadenza in its current form has been around since 2017. Kia has made it a point to keep improving, meaning this year we get some minor but noticeable updates on the touchscreen and console buttons that make controlling it all that much easier. The base model is getting a lot more safety tech standard, like blind-spot warning, rear cross-traffic alert, rear parking sensors and even power-folding mirrors. Finally, the mid-tier Technology trim now boasts the Luxury package standard that comes with a flood of coveted tech features like Harman/Kardon radio, 12-speaker system, panoramic sunroof, auto-dimming rearview mirror, power-folding outside mirrors, smart welcome lighting, LED interior lighting, and a host of active safety features. And, of course, buying new means getting Kia’s outstanding warranty: a five-year/60,000-mile basic and a 10-year/100,000-mile powertrain. A bit ago, we made the claim that the 2019 Kia Cadenza is almost as luxurious as luxury cars while also being affordable. Now, we’ll show you what that looks like. For beginners, the Kia Cadenza starts at just $33,000. That’s 10, 20 or even $30,000 less than other large luxury cars. For example, the Tesla Model S starts at $74,500, the Audi A7 starts at $68,000, and even the dowdy Lincoln Continental starts at $45,000. So, the Kia Cadenza is affordable, but is the quality there? Let’s take a look at what you get. The base Premium trim level gets you a 290-horsepower V6 engine paired with an eight-speed automatic transmission and sporty front-wheel drive. Then you also get a rearview camera, Bluetooth, dual-zone automatic climate control, 18-inch alloy wheels, leather upholstery, heated front seats, eight-speaker sound system, and Kia’s UVO infotainment system, which boasts a 7-inch touch screen, Apple CarPlay, Android Auto, and satellite radio. If that’s not enough, optional features include navigation and a panoramic sunroof. And that’s just the first trim. Once you get to the top-tier Cadenza Limited, which at $44,000 is still more affordable than just about every large luxury car, you’ll feel right at home parking next to the CEO’s car. Kia may not be a luxury brand, but the Cadenza could have had us fooled. Try one today. Feel that leather, listen to the engine purr, and see if you can tell the difference.